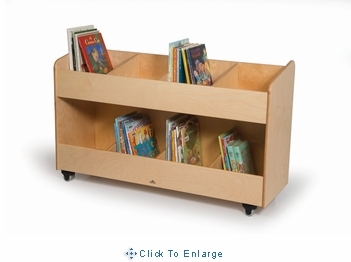 Every classroom or library needs one! 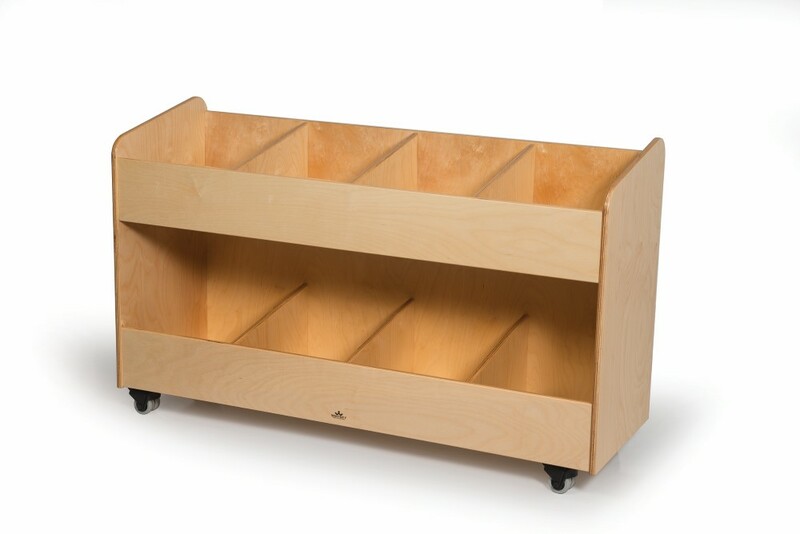 This rugged, handsome mobile cabinet has eight roomy compartments that store hundreds of books, magazines, supplies, etc. Includes heavy duty lockable non-marking casters for easy mobility. 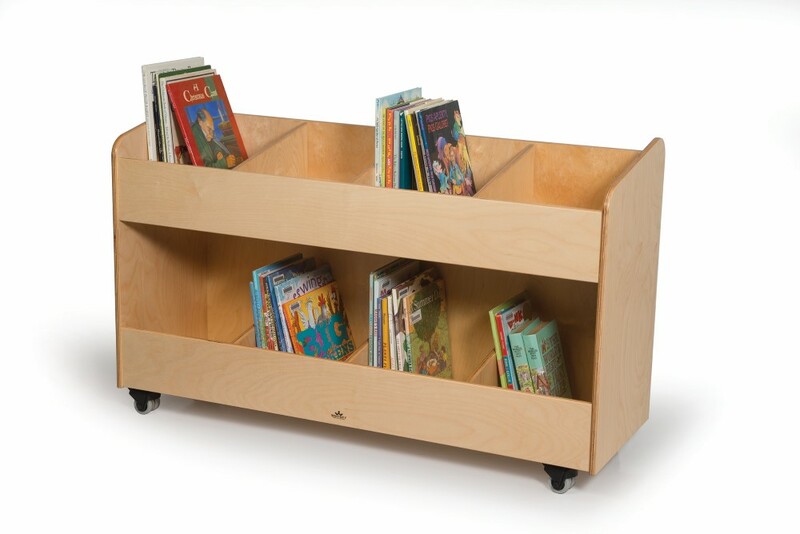 Constructed in beautiful, durable birch plywood in safe, non-toxic natural UV finish to withstand rigorous use. Dimensions: 16"L x48"W x 29.5"H, weighs 76 lbs. Ships fully assembled by truck. Made in the USA. GreenGuard� Gold certified. Lifetime Warranty.